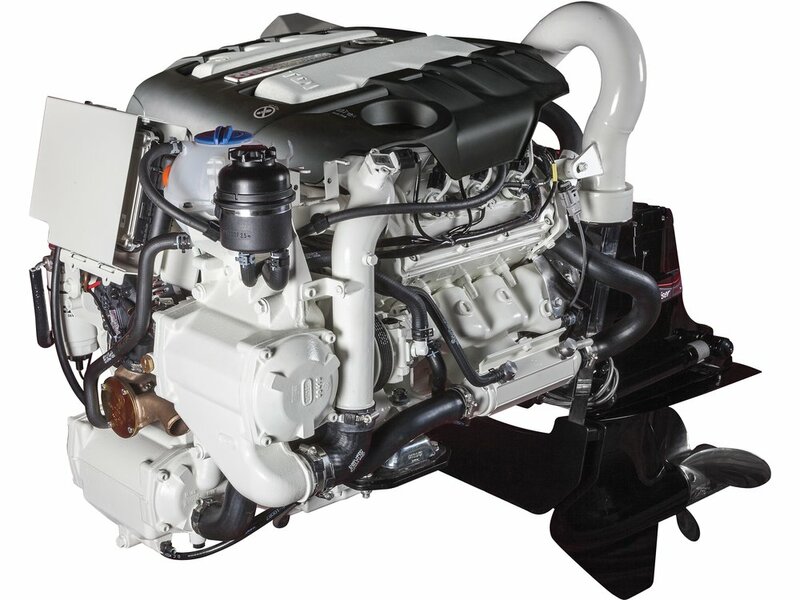 Whether you’re considering a new boat or planning to repower an old one, here are guidelines for thinking about which marine diesel engine is best for you. When you’re buying a new boat, or repowering an existing boat, you may need to decide whether gasoline or diesel is right for your needs. 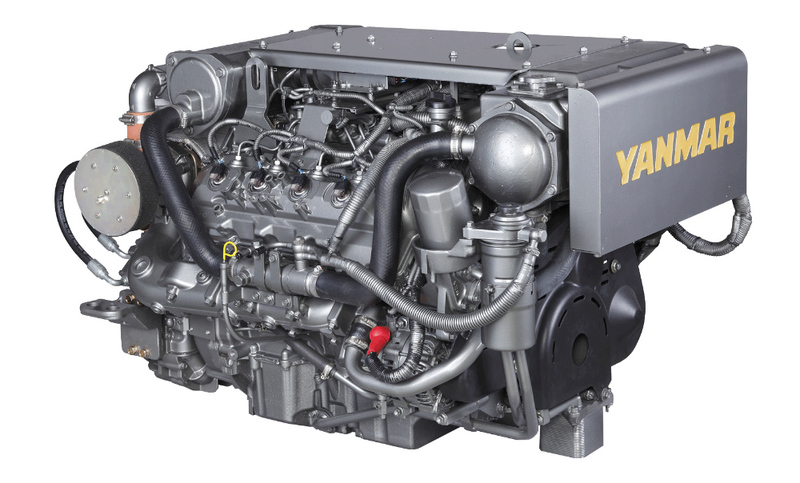 If you’re not as familiar with diesels as you are with gas engines, and still think of diesels as smoke-belchers, just be aware that there’s been a lot going on over the past several years when it comes to diesel engine technology for marine applications. These changes are in large part due to our friends at the EPA and mandates on low-sulphur diesel fuel and reduced exhaust emissions. If you decide that diesel is the way to go, here are a few things to think about as you consider a new engine. The Four Winns Vista V375 is an example of a mid-size production cruiser that can be ordered new with either gasoline or diesel power. Photo courtesy of Four Winns. One of the first decisions you might face is how much power you’re going to need. In the vast majority of cases this is something that has been narrowed down for you by the boatbuilder. Often, though, there may be options within a power range, so in the case of new boats it pays to run sea-trials with the various options already installed to get a feel for whether your need for speed can be met with the standard power package, or if the optional higher horsepower setup might be a better choice. Keep in mind, too, that if you’re sea-trialing a new boat, it’s not going to have all the normal cruising gear you might normally be carrying on board. Think of a boat as an airplane with no wings: The power-to-weight ratio is important. A 25 to 50 HP differential can make a huge difference in actual performance. Besides horsepower, the weight of the engine itself must be taken into account as part of the whole power-to-weight ratio for the entire boat. Also, physical dimensions and the motor mount footprint will need to be considered in a repowering situation. Don’t forget service access, either. If you’re hoping to repower with an engine not identical to the OEM engine, access to things like water pump impellers, filters, and bleed screws for the injection system are all factors to think about. 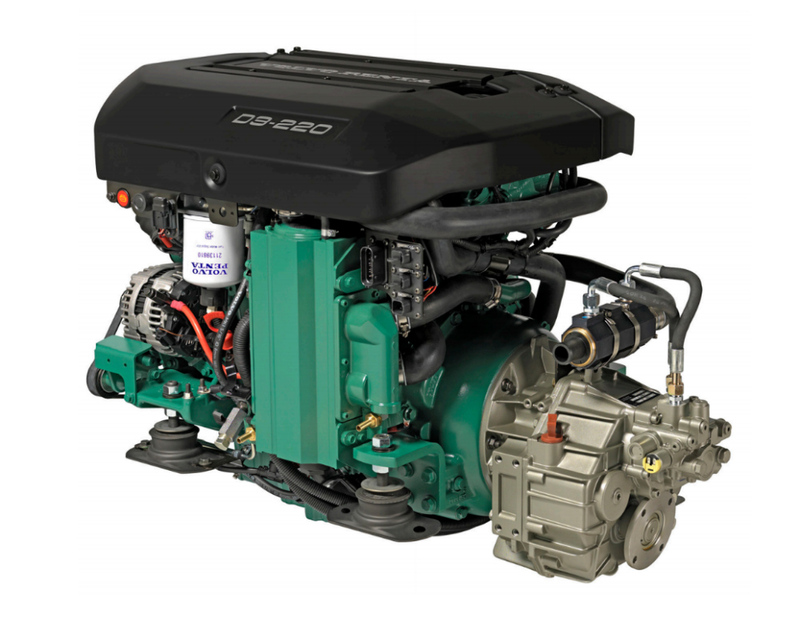 Volvo Penta’s D3-220 is one of a series of modern common-rail diesels equipped with electronic controls and intended for a range of marine applications. Photo courtesy of Volvo Penta. More and more marine diesels these days are equipped with computerized, electronically controlled “common rail” engines. This is no doubt a result of the EPA Tier-3 emission requirements. 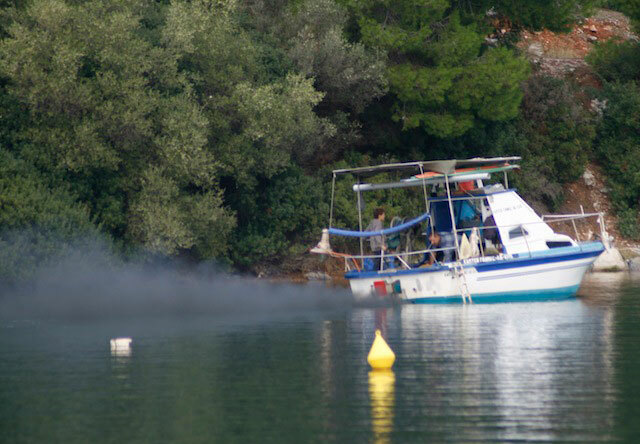 The details and enforcement dates for the different categories and emission tier levels for these requirements are a bit complicated, but suffice it to say that beginning in 2016, the Tier-3 standards apply to virtually any recreational diesel-powered boat, regardless of size or engine horsepower. Why is all this important to the new engine owner? Maintenance, troubleshooting, and the inability to DIY some of the traditional tasks are the big change. If you go much beyond routine engine oil and fuel filter changes, cooling system maintenance, and maybe replacing a water pump impeller, you’re going to need both special tools and engine-specific training to get any job done. 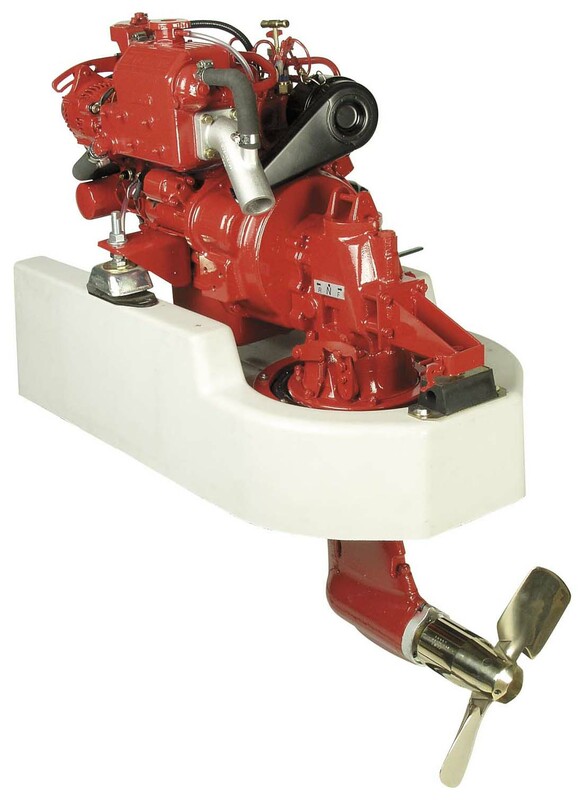 Unlike older engines with mechanical fuel injection systems, where bleeding of air-bound fuel injection systems was not too difficult for a relatively handy boat owner, it is not possible and in fact potentially dangerous to attempt these sorts of tasks on these newest extremely high-pressure diesel engines. These new engines, much like the engine in your car or truck, now require the use of electronic diagnostic scanners to troubleshoot running problems. For the long-range cruiser, finding a qualified engine technician in Fiji might pose some problems. What happens to your engine, and possibly your engine controls, after a lightning strike is yet another good question. It’s likely that the onboard electronics will be destroyed and you’ll be without an engine until that qualified technician gets to look things over and replace burned-out electronics. 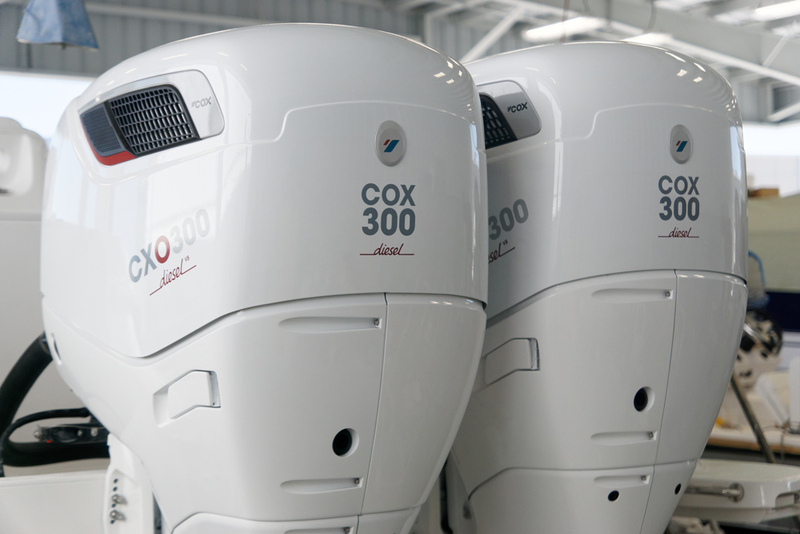 So, globetrotting sailors or trawler owners will probably want to be carrying backup components. Getting a look at the qualified dealer network on a global level should be a major consideration if you’re thinking about a long-distance cruise to a remote location. 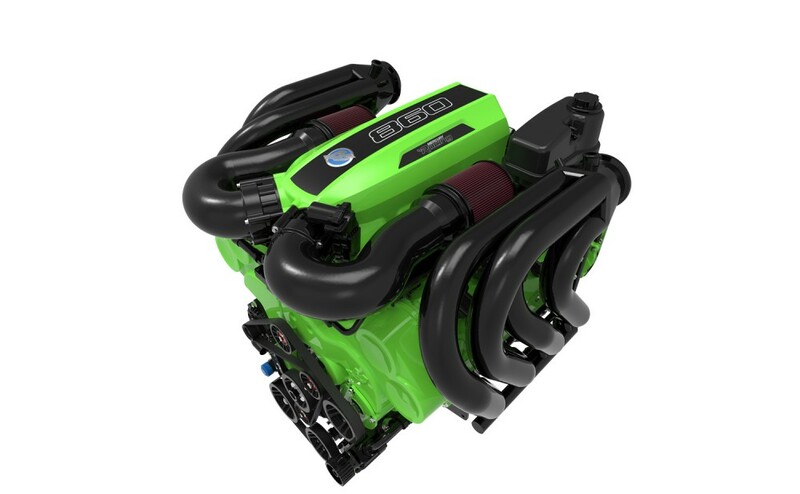 With these thoughts in mind, let’s get a look at what’s available in today’s market when it comes to new diesel engines. 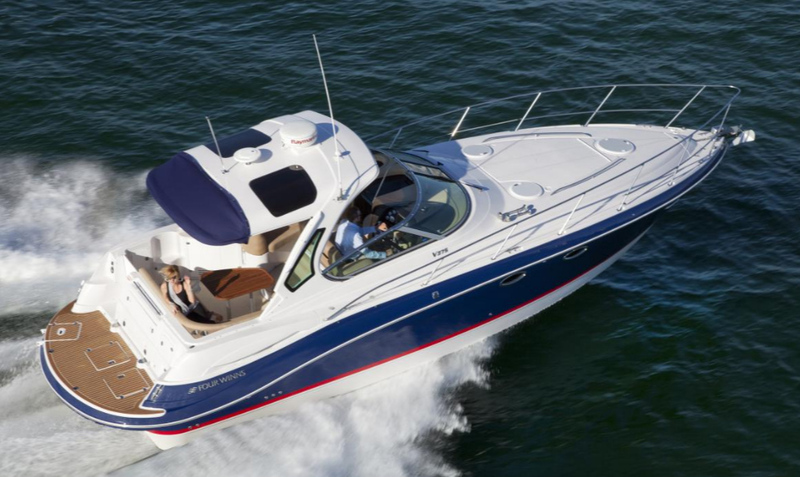 Mercury Marine diesels are based on Volkswagen’s well-established TDI engine technology. Shown is a 675-lb 3.0-liter engine mated to a Mercury outdrive. Photo courtesy of Mercury Marine. In the sailing arena, you can narrow your choices down to five brands: Yanmar, Volvo Penta, Beta, Nanni, and Westerbeke, with Yanmar and Volvo Penta taking the lead by a very large margin. As to which is better, it boils down to a Ford versus Chevy kind of comparison. Each brand has its proponents and its detractors. It will be smart to look at dealer networks and parts and service availability in your evaluations. Both companies have invested heavily in growing their dealer networks over the last 15 years, and at this point the main part of the new-sailboat market is split pretty evenly between the two major players. 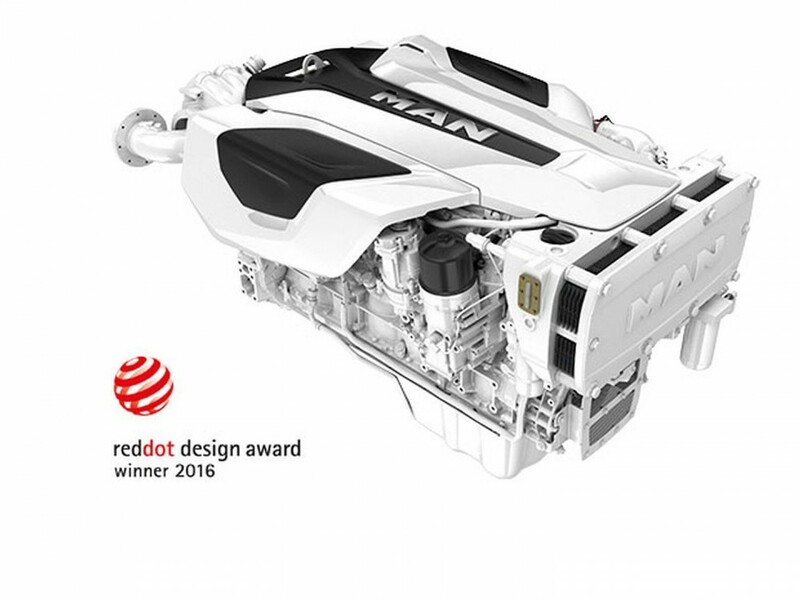 Understand that in this relatively small engine category, some of the brands you hear of are nothing more than marinizing companies that re-brand and repackage base engines from other companies like Kubota and Mitsubishi. 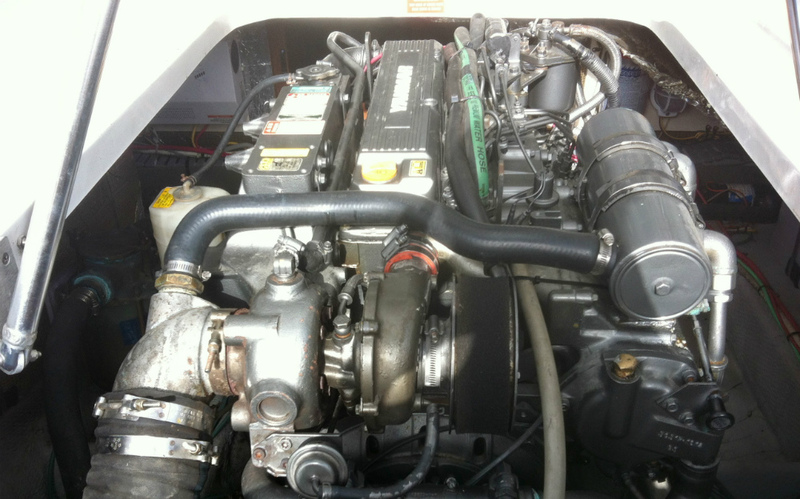 Volvo Penta, for example, uses Perkins engines for all its small engines. Meanwhile, Perkins uses Japanese Kubota engines as their base engines. A four-cylinder, 43 HP Beta Marine diesel powering a SeaProp saildrive unit with a two-bladed propeller. Most inboard sailboat auxiliaries are small diesels, either straight inboard or saildrives. Photo courtesy of Beta Marine. Beta Marine is up-front about stating that their engines, which range from 14 HP up to 105 HP, are Kubota-based. They offer a good warranty of up to five years for boats in recreational service, and have an extensive dealer network here in the US. Nanni is a French company and marinizer. They have partnered not only with Kubota but also MAN, Toyota, and John Deere. Their available horsepower offerings range from a low of five up to 680 HP. 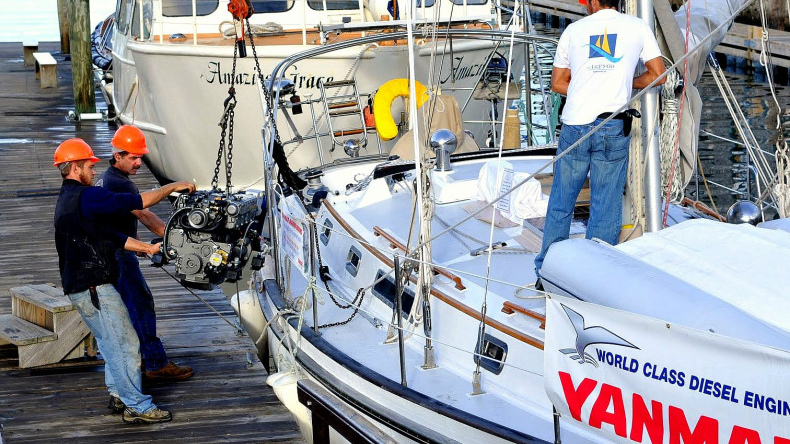 The engines have a much larger following outside of the United States, and according to discussions in some online sailing forums, owners in the U.S. may find Nanni-proprietary spare and replacement parts hard to locate and expensive. If your boat is based in Europe, things will probably work out just fine with this choice. The Westerbeke brand is pretty much exclusive to sailboat propulsion, although they have a wide variety of AC generator products available in both gasoline and diesel configurations. Decades ago, Westerbeke bought out the Universal engine company and continues to produce two Universal diesel engines, the M3-20 B and the M-25 XPB, as replacement options for the venerable Atomic 4 gasoline engines of old. The Westerbeke line offers engines in the 12- to 66-hp range. The company offers five-year warranties and has an excellent dealer/distributor network with global reach. In the world of powerboat propulsion, there are many more players, and the market size is considerably larger. Cummins, Detroit Diesel, MAN, Caterpillar, and John Deere, as well as Volvo Penta, Yanmar, and Mercury round out the top choices. In this area, the matter of weight and physical dimensions are the major contributors to the choices made. Your choices will be narrowed down by whether your boat is a displacement-hull world cruiser, semi-displacement, or full planing hull. The limits of warranties and the availability of service and parts come into play, not to mention fuel economy, as these engines are primary propulsion choices versus auxiliary power with the sailing crowd. 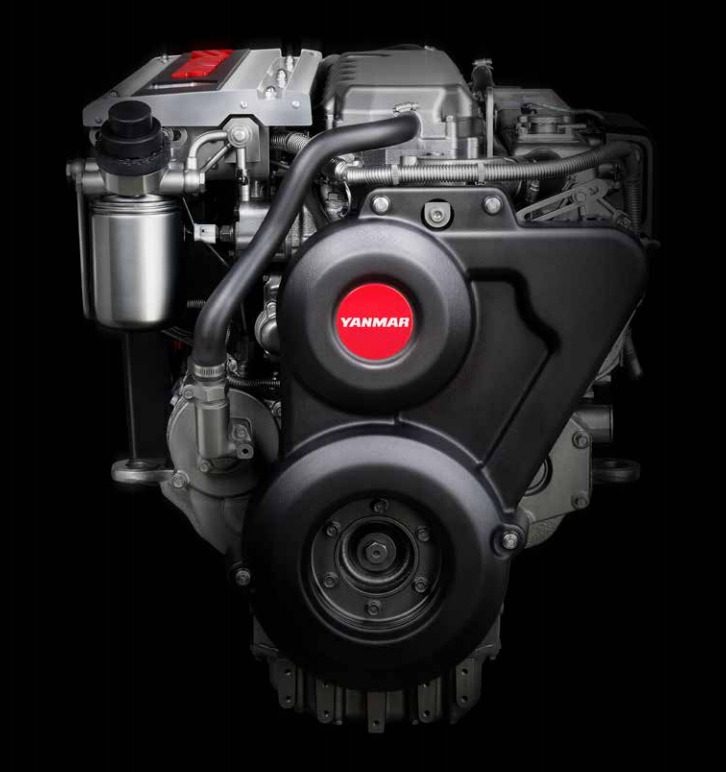 MAN diesels start at 730 HP (shown here) and are generally installed in larger yachts and commercial vessels. Photo courtesy of MAN. These engine companies offer a range of products too long to list here and they all have a strong presence globally. The engines must comply not only with US EPA emission requirements but also International Maritime Organization (IMO) requirements for both engine emissions and sulfur content of fuel. A list of diesel engine web resources follows. 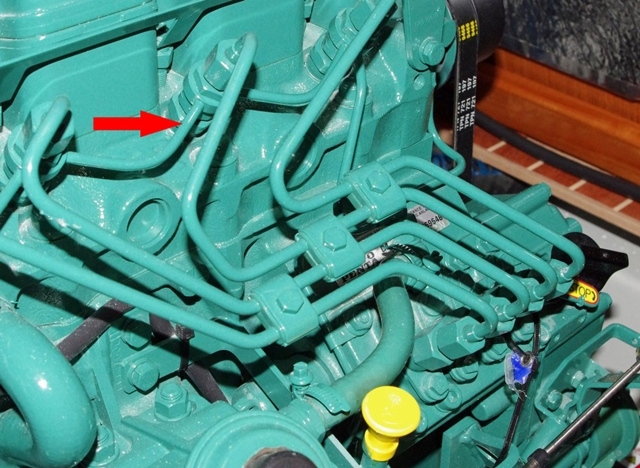 Again, after basic considerations of engine size and weight, and access to service points on the engine, the single most important consideration in choosing an engine brand is the availability of qualified service professionals and parts for the engine in the area(s) you intend to keep and operate your boat. Stories abound of people waiting weeks to acquire something as simple as a replacement fuel filter element. Don’t be that boat owner. 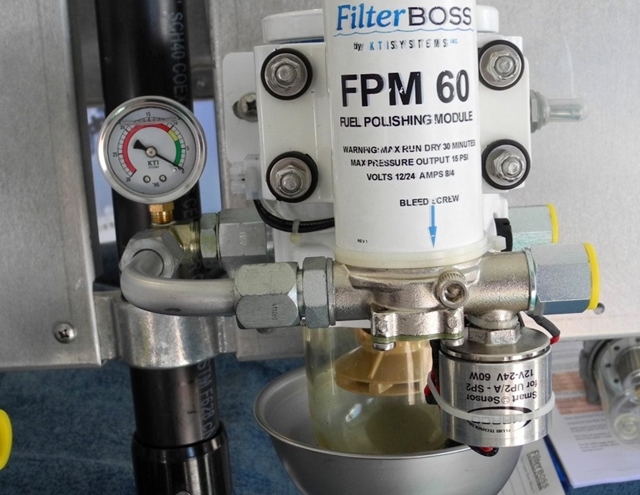 Repowering with diesel can make sense for boats that need more torque and reliability for voyaging, or that have older gasoline engines that need replacing. Photo courtesy of Oldport Marine Services. Diesel Engine Smoke: Blue, Black, or White? Is Polishing My Diesel Fuel Worth It?